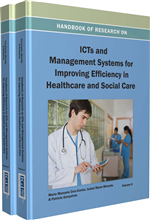 In this chapter, the authors discuss the technological aspects of solutions and applications in staff rostering by means of ICT techniques. Three different applications are presented related to nurse rostering in a public hospital ward, nurse rostering in a private hospital ward, and physician rostering in a public hospital intensive care unit. For all applications, the use of efficient operations research techniques, models, and related solvers guided by the suggestions of the healthcare staff is introduced. The peculiarity of this work is the combination of mathematical programming techniques and solvers under the classical neighborhood search framework. Despite the fact that in many hospitals the rostering of personnel is made by hand, there exist a number of drawbacks to that practice. First of all the (sometime huge) time spent in manually generating shifts plans is clearly stolen to other working activities; furthermore, hand-generated rosters can be of poor quality as satisfying all compulsory and contractual requirements is generally a hard tasks to be accomplished just by hand. Notice also that rostering is, actually, not always considered a real time consuming task by hospitals management so that people are expected to accomplish such task, but no clear perception exists of what does it mean in terms of effort spent. On the other hand, advantages of automating the rostering process include the reduction of the planning workload and associated costs (not only economic) and the opportunity to create higher quality and more flexible schedules (Lodree, Geiger, & Jiang, 2009). Rosters of better quality also reduce fatigue and stress due to overwork and poor scheduling and help to maximize the use of spare time of personnel by satisfying more requests, also complaints about unbalanced plans can be more easily justified and/or avoided. Optimally planning the working shifts of personnel in health-care services is then fundamental in increasing the working life quality of workforce and correspondingly improving their performances directly increasing quality in the patients care. Operations Research researchers and practitioners have always been involved in studying and solving such problems that falls into the class of Combinatorial Optimization Problems (COPs).